Wilson (concussion) participated fully at practice Wednesday. Analysis: Wilson's return to the practice field Monday provided optimism for his potential return against the Jets on Sunday, and his full participation Wednesday furthers that notion. The 22-year-old sustained the concussion in Week 2, and it hasn't been announced whether he's officially cleared the concussion protocol. 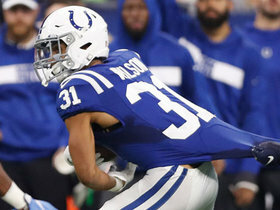 Wilson (concussion) returned to practice Monday, Andrew Walker of the Colts' official site reports. Analysis: This is great news, considering Wilson hadn't been back on the field since originally sustaining a concussion in Week 2. He remains under the league's concussion protocol, but Wilson has plenty of time gain clearance before Sunday's showdown with the Jets. Wilson (concussion) has been ruled out for Thursday's game against the Patriots. Analysis: Wilson will miss his second consecutive game with a concussion he suffered in Week 2. With starting cornerback Kenny Moore (concussion) also out and Nate Hairston (ankle) questionable, the Colts are lacking depth in the secondary, which could pave the way for a big offensive performance from the Patriots. Pierre Desir and Chris Milton are expected to see increased workloads in an effort to stop that from happening. 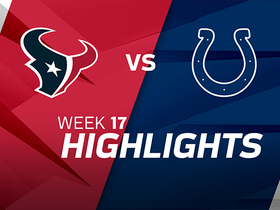 Wilson (concussion) is ruled out for Sunday's game against the Texans, Mike Wells of ESPN.com reports. Analysis: Wilson continues to nurse a concussion suffered during Indianapolis' Week 2 victory over the Redskins. 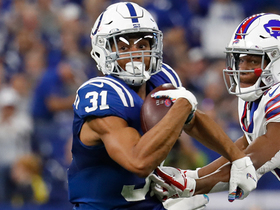 Christopher Milton will serve as the Colts' backup right cornerback for the time being, and Wilson will work to get healthy in time for the team's Week 5 Thursday night tilt versus the Patriots. Wilson (concussion) has been ruled out for Saturday's matchup with the Eagles, Kevin Bowen of 1070 The Fan Indianapolis reports. Analysis: Wilson suffered a concussion in Sunday's victory over the Redskins and has been in protocol since, which caused him to miss the entire week of practice. With Christopher Milton (concussion) back to practicing in a full capacity, he will be a primary reserve in the secondary this weekend in Wilson's absence. Wilson (concussion) did not practice on Wednesday, Andrew Walker of the Colts' official site reports. Analysis: Wilson sustained a concussion in Sunday's victory over the Redskins and is questionable for Week 3's tilt against the Eagles. 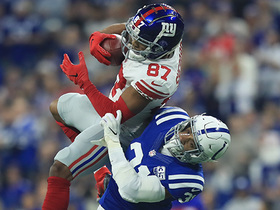 With Christopher Milton (concussion) also questionable versus the Eagles, Indianapolis could enter the game without notable depth behind starter Kenny Moore. 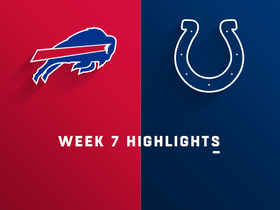 Wilson suffered a concussion during the Colts' 21-9 victory over the Redskins on Sunday, Andrew Walker of the Colts' official site reports. Analysis: Wilson received snaps at the nickleback position for Indianapolis before being forced from Sunday's game. The severity of Wilson's injury remains undisclosed, so expect an update on the second-year player's health as the week progresses. Wilson played 46 of the defense's 56 snaps, but didn't have a tackle and gave up a 36-yard pass interference penalty. He played with a cast on his hand, the Indianapolis Star reports. Analysis: Wilson is getting playing time as the team's nickelback but struggled in pass coverage. 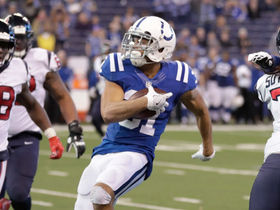 He could lose playing time if his struggles continue as Indy's secondary could be in flux. Wilson is not listed on Tuesday's injury report. Analysis: Wilson was aiming to rejoin the team for practice this week and it appears he's done just that. Now healthy, Wilson should factor into the Colts' defensive backfield in 2018 after recording 22 tackles (19 solo) and one interception over 402 defensive snaps in seven games last season. Coach Frank Reich hopes Wilson (hand) will rejoin the team for practice next week, Andrew Walker of the Colts' official site reports. Analysis: Wilson hopes to rejoin the fold in relatively short order after it was revealed late last week that he's battling a hand injury. Additional information surrounding his status should surface when he retakes the field, with the regular season less than two weeks away. Wilson is dealing with an apparent hand injury, Andrew Walker of the Colts' official site reports. 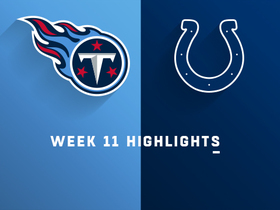 Analysis: The Colts haven't provided many details other than confirming that Wilson sustained the injury. With little information given, it's tough to project how this will play out over the next few days. Should he avoid the MRI, the expectation is Wilson is dealing with a minor ailment and won't be sidelined too long. 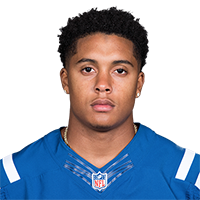 Wilson had 22 tackles (19 solo), six pass breakups and an interception in seven games for the Colts in 2017. Analysis: Wilson was active for the first two weeks of the season, but didn't see game action again until Week 13. The rookie second-round pick started the final four games of the season and could have a chance to earn an increased role in 2018 with starting cornerbacks Pierre Desir (pectoral) and Rashaan Melvin (hand) slated for free agency. Wilson played 47 snaps on defense and had four total tackles (three solo) in Sunday's 30-10 loss at Jacksonville. Analysis: It was the most extensive action the 2017 second-round draft pick has seen since Week 2. He could get more playing time with Pierre Desire and Rashaan Melvin now both injured. Wilson (knee) is active for Sunday's game against Pittsburgh. Analysis: Wilson was limited in practice throughout the week but he's expected to see his typical role in Sunday's game. Look for him to continue as one of the Colts' top backups in the secondary. Wilson (knee) is listed as questionable for Sunday's contest against the Steelers. Analysis: Wilson logged limited practice sessions throughout the week, and is looking like a true game-time decision Sunday. Christopher Milton and Nate Hairston figure to continue seeing increased reps providing depth in the secondary should Wilson ultimately be ruled out again. Wilson (knee) was ruled out of Sunday's game in Houston. Analysis: Wilson hasn't played since Week 2 due to the knee issue and didn't practice in any capacity this week. Once he's healthy again, Wilson should be ticketed for a reserve role. Coach Chuck Pagano said Wilson (knee) is, "day to day," Andrew Walker of the Colts' official site reports. Analysis: Wilson, who's been a healthy scratch multiple times in recent games, doesn't figure to be in line for much playing time even if he's able to recover in time for Sunday's game in Houston. 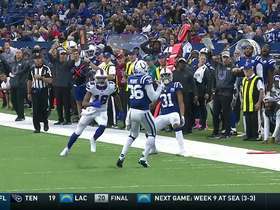 Indianapolis Colts Quincy Wilson tips Buffalo Bills quarterback Derek Anderson's throw for Indianapolis Colts safety Corey Moore to intercept. 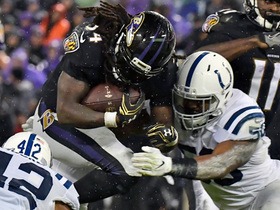 Baltimore Ravens running back Alex Collins activates turbo on a 14-yard rush. 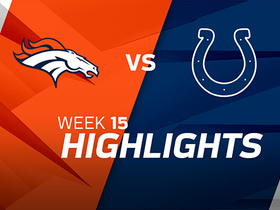 The Denver Broncos take on the Indianapolis Colts in Week 15 of NFL action.